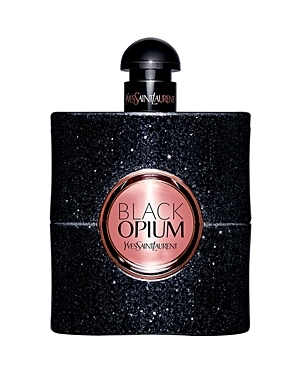 There are 16 reviews of Black Opium Eau de Parfum. I don’t feel it resembles Opium in any way, but it does resemble the floral gourmand fragrances on the market, with a beautiful -is it wine?- twist. It makes me think of a sweeter and cheaper version of Noir de Noir by Tom Ford. This smells lovely and unique on me; lots of pepper, vanilla, and patchouli with that hint of coffee. It has good sillage (projects but inoffensively) and longevity too. However! I've noticed Black Opium changes so much based on your individual body chemistry, more so than many other perfumes I've tried. On my mother, it smells just like super sweet berries with a hint of something bitter. It's not bad by any means, but it's not what it smells like in the bottle or on me. It smelled much more generic on her. That's why I'm rating this as Neutral; it's really important to test this one out beforehand to know what you can expect. Southeast Asia is one hot mess.. Literally. With all thay humidity, dust and smoke from the traffic it is impossible even for an oil based perfume to last for at least 3 hours. I am impressed with Black Opium. I did not intend to buy this, I was looking forward to get a bottle of Hypnotic Poison but it's always out of stock in the Philippines. I have this sort of body chemistry that when a perfume is heavily floral or fruit based. The smell changes in an unimpressive scent. I am a vanilla base note person. Then it spirals down into darkness of night and seduction. As it dries down it becomes an almost Marshmallow fluffy vanilla sweetness but the smell of the woodsy incense lingers behind it. I can see where people get the sugared and creamy coffee in this, but I don’t per say detect coffee, it’s not acidic or bitter but rather a sugary treat. The longevity and sillage on my skin are impressive, people know me by this scent and I get compliments often. This has become a signature for me. My man wears Nuit de L’Homme Intense by Saint Laurent daily and I think the two Black Opium and Nuit de L’Homme compliment each other well. Black Opium has a strong heart, what coffee can do for a cheap scent. Black opium has heady everything, forming the illusion of an intoxicating scent, but really-just resting on its laurels. A bit. Nonetheless, its top notes are fun and fully sensual, almost naturally grounded by the warmth of vanilla, patchouli and cedar wood. The result interplay is the beginning of a night on the town. Nice enough of a story for Black Opium's composition. BLACK OPIUM NUIT BLANCHE YVES SAINT LAURENT 90ML EDP TESTER WOMEN NEW IN BOX.